To help federal workers going without paychecks during what is now the longest government shutdown in history, Kraft Heinz Co. will be opening up a complimentary pop-up grocery store in the Washington, D.C. area. According to Fox News, Kraft announced on Tuesday that workers who have been furloughed by the government shutdown will be able to pick up unlimited Kraft products absolutely free come Wednesday. 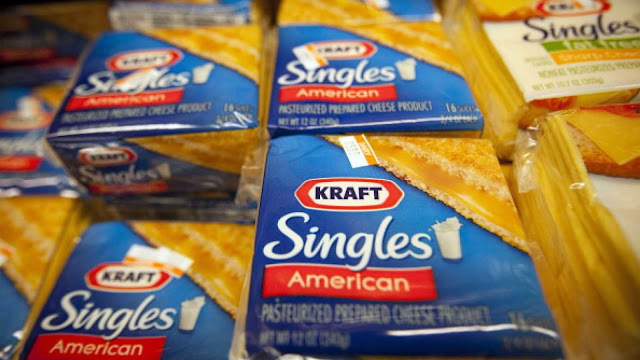 "Called 'Kraft Now Pay Later,' it will allow federal workers to stock up on the company’s staples such its famous mac and cheese mix and other items for free," reports the outlet. "The only caveat is that the Chicago-based food maker wants workers who can to pay it forward by donating to their favorite charity or help someone in need once their back pay comes through." According to The Hill, an estimated 800,000 federal workers have been affected by the shutdown, which has forced many federal employees to use food banks until back-pay kicks in. Federal workers better think twice before waiting to pick up a Kraft single until next week; the pop-up store will only be open through Sunday. As noted by Fox News, Kraft has waded into political waters before. Back in June, Kraft announced that its Country Time Lemonade unit would "defend and pay for any fines related to children-run lemonade stands getting shut down for not having a permit." "We recently came across a story of a kid getting her lemonade stand shut down for legal reasons, which had to be an urban myth. After looking into it and seeing even more instances, we realized these weren’t myths, they were real stories," Adam Butler, general manager for beverage and nuts for Kraft Heinz, told Fox Business at the time. Other food vendors have offered free services to unpaid federal workers as well, including celebrity chef José Andrés, whose pop-up restaurant gave away free sandwiches and soup. "We believe that no person should have to go through the pain of not knowing what to feed [their] children,” Andrés said in a tweet announcing the decision. "We're going to be open for any federal family that needs food. We will have food for you to eat or food for you to take home." "I hope it will be a call to action to our senators and congressmen and especially President Trump to make sure we end this moment in the history of America where families are about to go hungry," he continued. "We should always come together as we the people. As Americans. Bipartisan. Republicans and Democrats. All Americans."